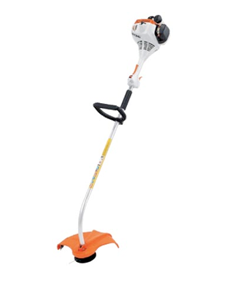 head even flips over for easy-to-see lawn edging. Instant lawn master. Untidy suburban lawns can now be mastered at the flick of a switch. You will appreciate the power and balance of this superb machine as you control fence lines and edges without waking the neighbourhood. Comes with STIHL’s standard “dial-up” easy reloading nylon line head. 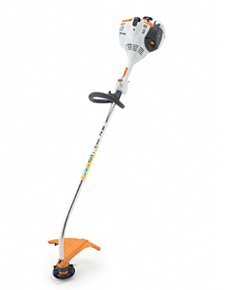 With this new lightweight line trimmer you can quickly trim your fence line or around obstacles.An impressive entry point model in Stihl's comprehensive range of Line Trimmers and Brushcutters. 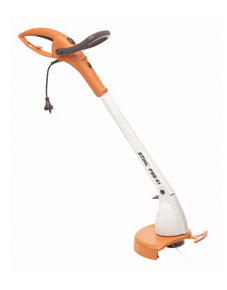 Compact, powerful and lightweight LineTrimmer for domestic trimming and lawn edging. Also available with a Easy2Start option. 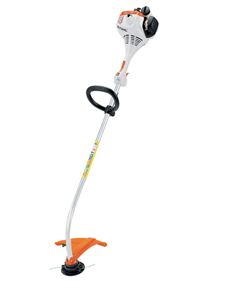 Ideal for the taller user that prefers the bent shaft style Grass Trimmer, coupled with a low emission motor, and great power to weight ratio this new Grass Trimmer will impress.Easy2Start is a standard feature.